What have we learned about Cavs GM Chris Grant on draft night? He might take a guard, he might take a forward, he might take a center. But he will never, under any circumstances, be predictable. In this article, penned a year ago, I took note of the fantasy-sports culture that has grown up around draft prognostication. In the weeks leading up to the NFL and NBA drafts, fans absorb mock drafts, scouting reports, soundbites and tweets to the saturation point. By the time the draft rolls around, the advance intelligence has delivered us a consensus-designated group of prospects that so-called “experts” have rubber-stamped as appropriate selections if your team should hold a top pick. If your team reaches outside of that sphere to make their selection, doubting Thomases flood message boards, Twitter feeds and call-in shows with a collective reaction that is anywhere between sweaty palms and outright anger. In 2011, three picks after taking Kyrie Irving first overall, Grant passed on Lithuanian center Jonas Valanciunas to take raw Texas power forward Tristan Thompson. Last year, Grant left North Carolina’s Harrison Barnes, Connecticut’s Andre Drummond and Kansas’ Thomas Robinson on the board to take Syracuse combo guard Dion Waiters, who didn’t even start for Jim Boeheim in his sophomore season. The picks were largely panned at the time. In both cases, our fears have calmed to an extent, as Thompson showed marked improvement from Year 1 to Year 2, and Waiters finished among the rookie leaders in scoring this past season. Which brings us to Thursday night, and what is supposed to be the last high draft pick the Cavs will have – or need – for a long time. For the second time in three years, the Cavs owned the top pick. The trouble is, the top of the draft was so murky, even the people who analyze the draft for a living had a hard time figuring out who should be in the conversation for No. 1. Rumors persisted that the Cavs would try to trade out of the spot, rather than use the pick. If the Cavs did keep the pick, the threads of available intel seemed to indicate that the players in the conversation for No. 1 fell into two classifications. If the Cavs wanted to go big, they could select Kentucky’s Nerlens Noel or Maryland’s Alex Len. If they wanted to go for a wing player, the best candidates were Kansas’ Ben McLemore or Georgetown’s Otto Porter. Most fans and media types seemed to agree, based on a collective hunch more than anything, that big was the way to go. Noel is recovering from surgery to repair an ACL torn in February, Len is recovering from a stress fracture in his ankle, but in this dartboard of a draft, you’re probably best-served slinging your darts at the guys with size. So at about 7:30 on Thursday night, we settled in and waited for the pick. Noel or Len? Len or Noel? If Grant threw us a curveball, it would likely come in the form of Porter or McLemore. But few among us were thinking any farther outside the box than that. Then David Stern stepped to the podium. This was his final draft as NBA commissioner, so he was having some fun with the selections. And, with that, the legend of Chris Grant, riverboat gambler, grew. 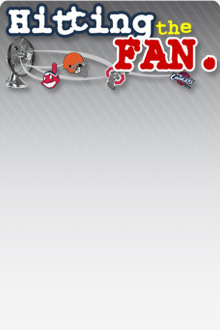 In Cleveland, whether we realize it or not, we’re getting used to this. There is a gut-check moment, a furrow of the brow. You meditate for a second. Then you come to a conclusion. Some are cool with it. Some hate it. Some reserve judgment. 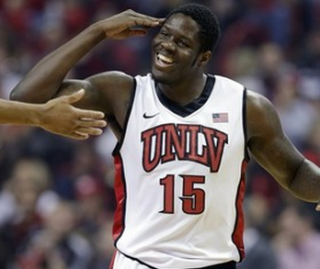 Bennett has been compared to former UNLV standout Larry Johnson. The man they called “Grandmama” carved out a pretty productive career for himself after the Charlotte Hornets made him the first overall selection in 1991. He played a decade in the NBA with the Hornets and Knicks, scoring over 11,000 career points and grabbing over 5,000 career rebounds, before back problems forced a premature retirement in 2001. Bennett does come with some areas of concern, apart from his stature. After having postseason shoulder surgery, he’s reported to have put on about 20 pounds. He’s not known as an adept defender, and his low-post game needs work. Considering the fact that he’s going to be playing against seven-footers in the NBA post, he’s going to have to get creative about finding his shot near the basket, which means his post game might need a lot of work. And then there’s the question of redundancy. Why draft an undersized power forward when you have already put two years of time and resources into developing Thompson? Thompson and Bennett are very similar, in terms of physical dimensions. Or does the arrival of Bennett in Cleveland signal the arrival of Thompson on the trading block? More than anything, the Cavs need to avoid a LeBron James redux. In his seven years in Cleveland, LeBron became increasingly fed up with the constant need for him to shoulder the brunt of the scoring burden, night in and night out. Mo Williams became a legitimate second option during LeBron’s final two years here, but he disappeared in the later rounds of the playoffs, and the offense regressed to all LBJ, all the time. It’s the main reason he left to hook up with Dwyane Wade and Chris Bosh. And if you let the same dynamic develop around Kyrie, it’s only a matter of time before Kyrie is planning his exit strategy. The Cavs need more go-to scorers around Kyrie. More teammates who can shoulder the scoring load on a given night. Waiters has shown some potential to develop into that kind of load-bearing scorer, but the Cavs need more. Bennett appears to have the tools to become that kind of scorer, as does Russian sharpshooter Sergey Karasev, selected by the Cavs at No. 19. The more scoring options available, the better the foundation of the team, and – at least in theory – the more secure Kyrie will feel in building his career here. So, why would a team that just re-hired their LeBron-era defensive stickler of a coach draft a player who has a poor defensive reputation? Wouldn’t a rim defender like Noel, or a human wall like Len, be a better selection for a Mike Brown team? The answer is, Brown’s defense doesn’t rely solely on individual defensive acumen. Just like the Spurs teams of his mentor Gregg Popovich, Brown’s defense relies on levers and pulleys, blocking and tackling. On the defensive end, the players are coached to operate as a five-man machine – trapping along the sideline and baseline, rotating from the weak side to double-team, flashing to the perimeter to bother a guard before recovering to the post to contest a shot. Defense is primarily based on effort and technique. A great offensive player can be taught to play defense. Offense is primarily based on talent. A great defensive player can’t necessarily be taught to become a great scorer. In fact, many great defensive players focus on defense because they can’t score. Defense is the only way they stay in the rotation. Ben Wallace, who won four Defensive Player of the Year awards with the Pistons before his cups of coffee with the Bulls and Cavs, is a prime example. So, what is the better route? Teaching Bennett to defend, or teaching Noel to put the ball in the hoop? If you believe in Brown’s philosophy, it’s the former. And if Bennett resists playing defense, you can bet Brown will staple him to the pine until he rethinks his priorities. If anything, putting a scorer at the four frees Thompson to focus on rebounding and defense in the paint, effectively becoming a center. With Bennett in the fold, Thompson no longer has to morph into a 17 PPG/10 RPG all-around force. If focusing on defense and rebounding means he can become a hard-nosed interior defender who can grab 11-12 rebounds per game while his offense consists mainly of dunks and stickbacks, there isn’t any pressure for him to become more than that. Ultimately, the goal is to develop a roster and playbooks that takes advantage of everyone’s strengths, while neutralizing individual weaknesses. But having said that, I still think there’s a significant chance the selection of Bennett increases the possibility that Thompson will be involved in a major trade later this summer. Grant doesn’t get the headlines that noted stat-head GMs like Houston’s Daryl Morey and Oklahoma City’s Sam Presti get. But Grant loves himself some metrics. And Bennett’s advanced stats grade out well, which certainly didn’t hurt his cause. Bennett’s player efficiency rating at UNLV was 28.3, meaning that in stat-head-speak, he did a great deal to help his team win. A PER of 15 is considered average in the NBA, and a PER of 30 is MVP-level production. Of course, you have to adjust for the fact that UNLV competes in the Mountain West Conference, which isn’t exactly a basketball powerhouse. Bennett probably won’t jump to the NBA and start posting 28.3 PERs out of the gate. But the advanced stats say he is an impact player. But Dallas shuffled the mid-round deck several times, and ultimately, Karasev was there for the taking at 19. Karasev is a 6’-7” swingman known primarily as an outside shooter. He comes with the rap of average-at-best athleticism, but scouting reports seem to indicate that he has a developing handle, and might be a smoother athlete than you’d think. Currently 19 years old, he averaged 16.1 PPG playing for Triumph Lyubertsy in the PBL, the top basketball league in Russia -- a league that employs ex-NBA players such as Primoz Brezec and Lonny Baxter. The Cavs will have to buy out Karasev’s contract with Triumph Lyubertsy in order to sign him, but reports say the Cavs’ decision-makers don’t think that will be an issue.